Sometimes when you meet a couple for the first time, everything just clicks. 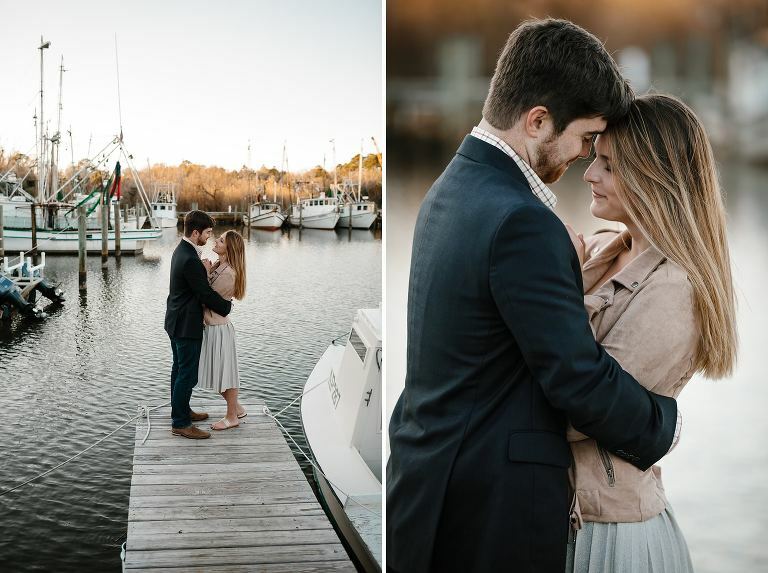 It felt that way when meeting Megan and Turner the other day for their Apalachicola marina engagement session. 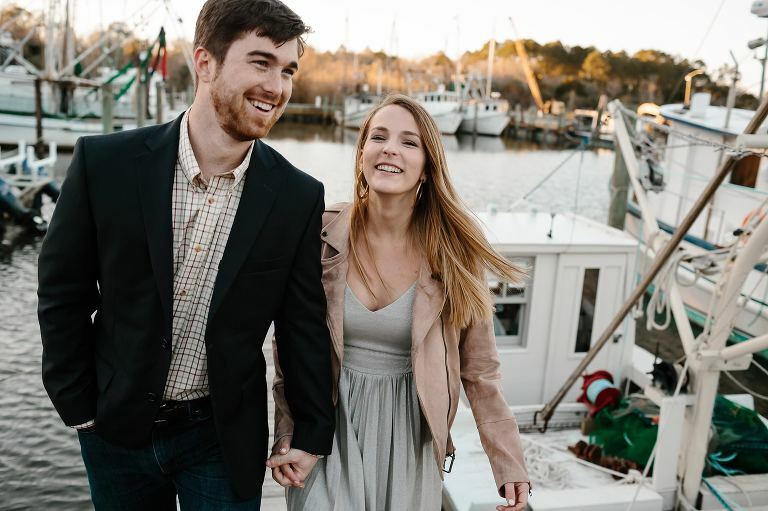 They spent the weekend scoping out potential wedding venues and enjoying the local fares at the oyster festival. Shortly after meeting up, we fell into a deep and meaningful conversation about movie quotes and nearly forgot to go take pictures. Unprepared for both the oyster festival and the bone chilling cold air, we grabbed a blanket and set off in search of less populated scenic jems hidden around town. We didn’t have to wander far. 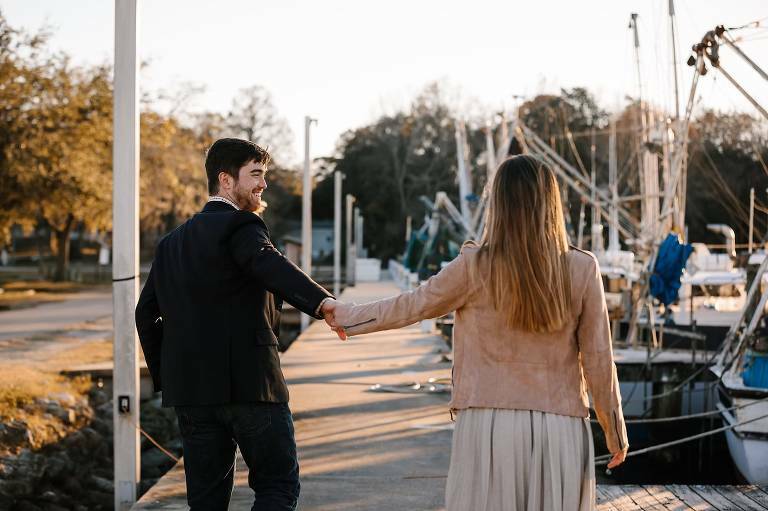 Apalachicola is one of my favorite places to shoot. It’s so full of rustic charm and beauty, you can literally stand on the side of road and create magic. Which is exactly what we did. In all fairness though, Megan and Turner could make a dumpster look good. Besides that blanket for warmth, their playful romance was the only other ingredient we needed. 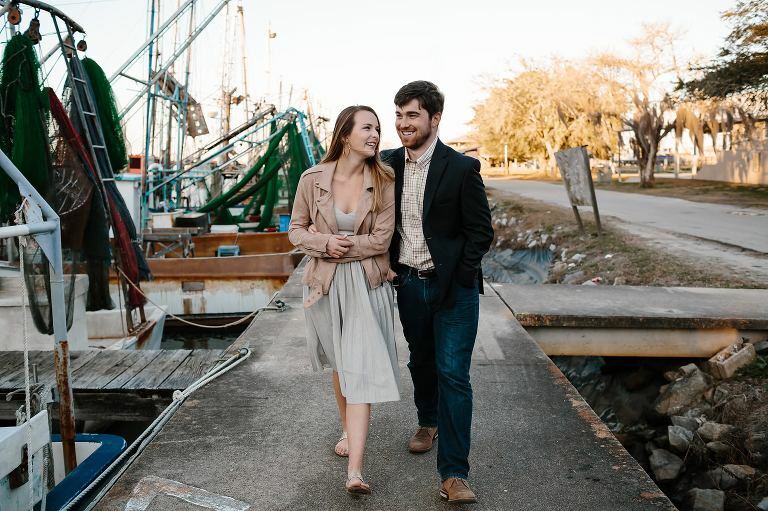 Super stoked for their wedding in just a few short, warmer months! 2019 AMY LITTLE PHOTOGRAPHY|ProPhoto Photography Theme|Design by Northfolk & Co.